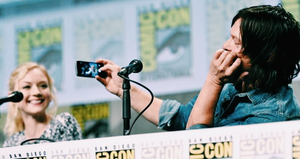 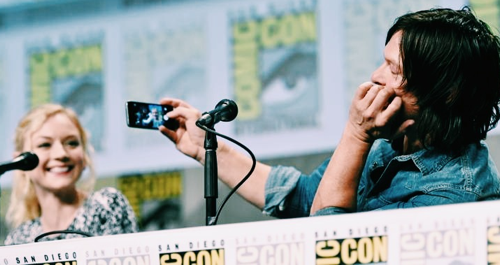 Emily Kinney and Norman Reedus. . Wallpaper and background images in the The Walking Dead club tagged: photo the walking dead comic con 2014 normily emily kinney norman reedus.